Love can be fickle, yet it is so important. Yes we all wanna be loved, but it should not be rushed. We don’t want to just love the next person who comes along. The question is how to find our true soul mate. Moreover, how do we keep from hurting even killing the ones we love. JD is a wonderful lady who enjoys the attention of a young man as much as the any girl. But for some reason or another, guys seem to fall in love too fast for her and they are quickly head-over-heels. Many start talking of marriage well before she is ready. So JD has a tendency to call things off and break their hearts. The pattern then repeats and she wishes she could warn them off. That’s where her tattoo comes in. After a 10 year relationship with one particular man, she realized she needed to move on. His heart and several others were broken in succession. In a way, she was killing her lovers. 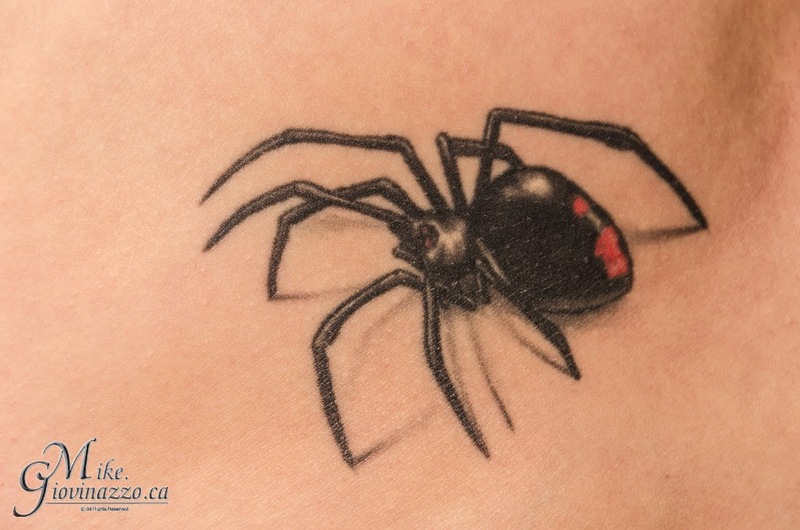 What a perfect symbol, a Black Widow Tattoo. The Black Widow spider has a venomous bite and the females of some species are known to devour their male after copulation. JD selected this symbol and strategically placed it close in her pubic area. When a relationship progressed and got far enough along that the tattoo was revealed, she could outline in no uncertain terms that if things moved too fast she would have the tendency to back away. They now had clear warning and could proceed at their own risk. It certainly gets the message across and the imagery is stunningly real. JD recalls one day in a doctor’s office, the practitioner was clearly taken aback. Of course it didn’t help that he was Arachnophobic. For anyone wondering, there is now a new man in her web and things are progressing at a comfortable pace. Sounds like there may be a new chapter to this story soon.